Thetford Storage strap. 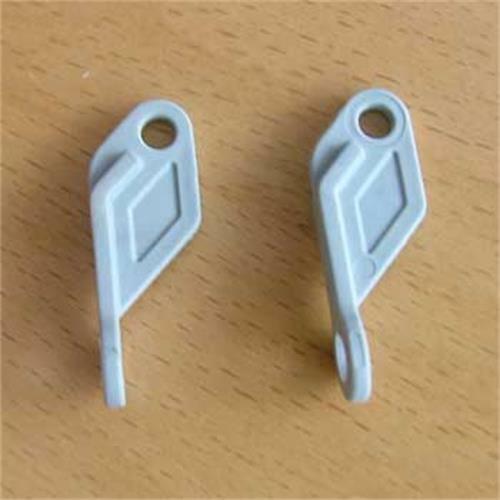 Part of door catch. Suppiled in pack of 2. Colour light grey. Got them in dark grey. Fast delivery even though I don't live in UK. A bit expensive transportation but I got the product all right. another part for my fridge, fitted straight in. I fitted it the wrong way round because the one I was replacing was the wrong way. The narrow end at the bottom in the picture fixes to the door. It works the other way round but does not fit into the recess for it on the door. As expected. Perfect replacement for older clip that had stopped working. Simple to change and was complete in seconds.